Gorgeous backless Katie May dress. This gown made my day extra special, it was love at first sight! Worn only once, dry cleaned and kept in a specialty box/acid free tissue paper ever since my big day (Feb/2015). In perfect condition. This dress was specially made for me, the tag indicates US size 0, however it has been altered as well (see photos for measurements). 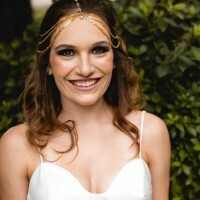 Try ons and inspections are welcome for serious brides only. I'm happy to hand it over in the box, however if you want it to be posted it might be a better idea to pack it up in a smaller box, please advise your preference. 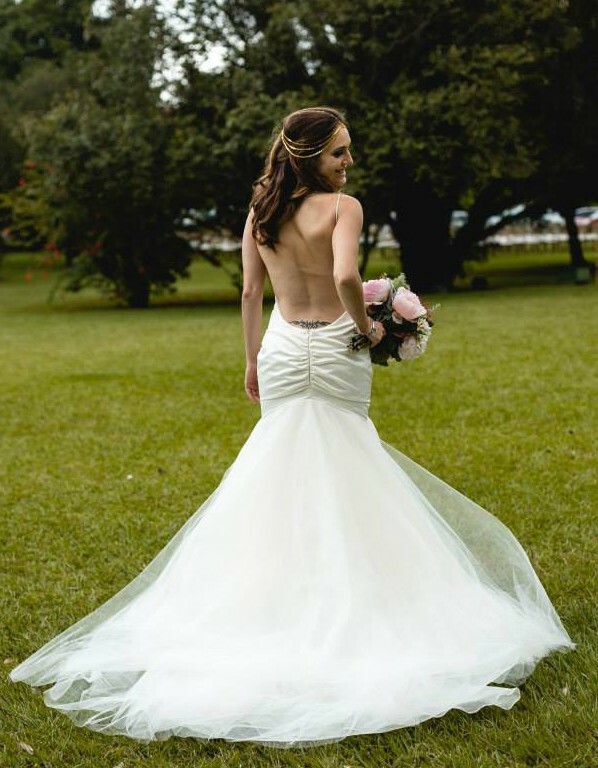 Ever since I bought my dress Katie May made significant alterations to this same style, the current version features thicker straps and it can be viewed here: https://www.katiemay.com/collections/bridal/products/charleston. This dress currently retails for USD$5,000.00, so you can't go wrong with this pre-loved bargain! Please inbox me for any further details. Once you send a message, Clarissa can invite you to purchase the dress.